photos by Steve HwanLes Boulevardiers is a Django-theme Swing band with the same unmatched danceability and authenticity as the Campus Five. 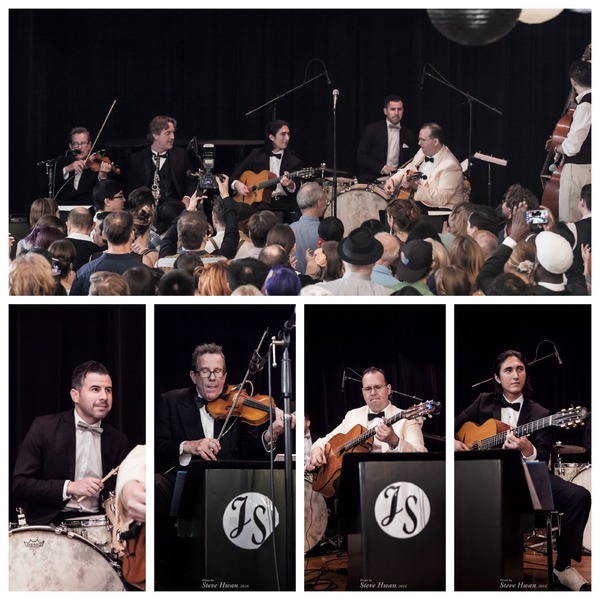 Following the success of the Grand Slam Sextet, we decided to add another "flavor" to our arsenal: Gypsy Jazz. 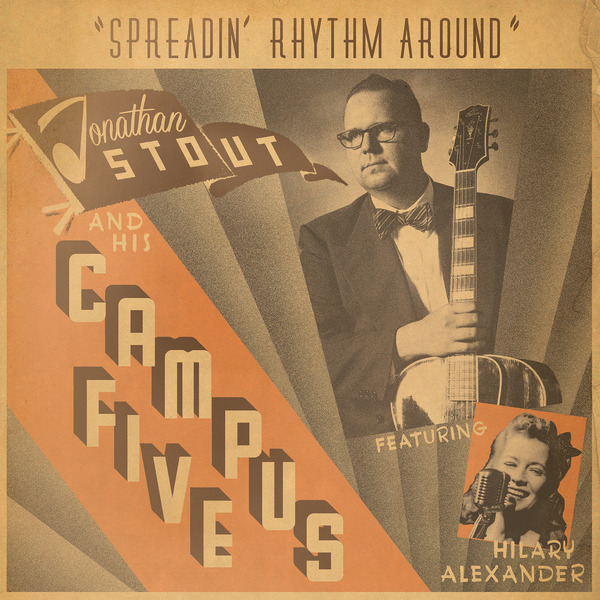 Jonathan has long been a student of the guitar playing of Django Reinhardt (as evidenced by the Campus Five's recordings of "Dark Eyes" and "Minor Swing", among others), and Les Boulevardiers is a chance to explore the Django sound, while maintaining a superior level of danceability. 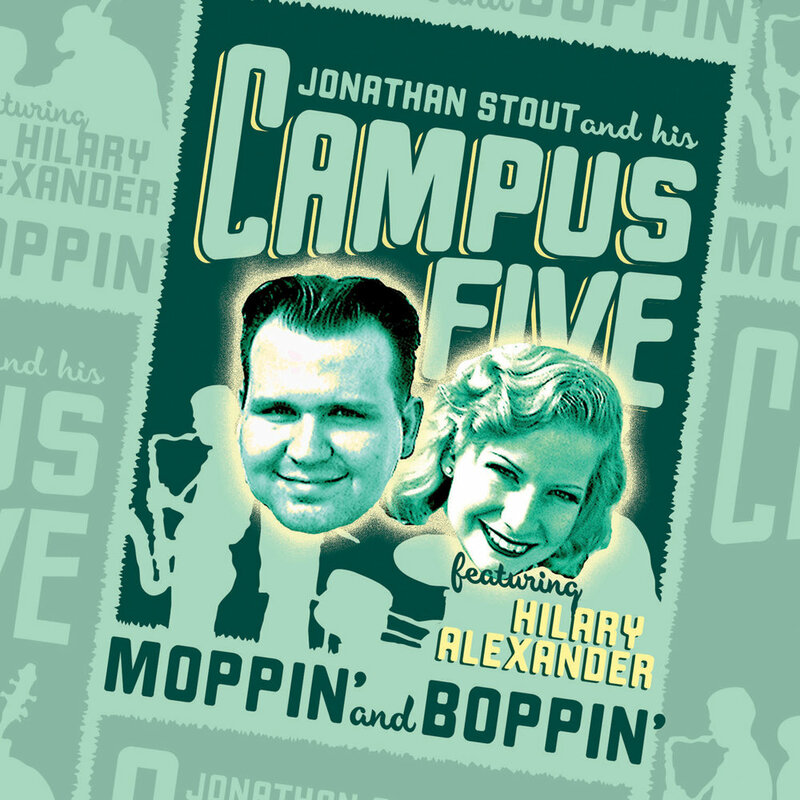 The repertoire is balanced pefectly between Balboa-ble up-tempo tunes, mid-tempo Lindy Hop tunes, and with a fun, jivey vibe that is perfect for late night dances. 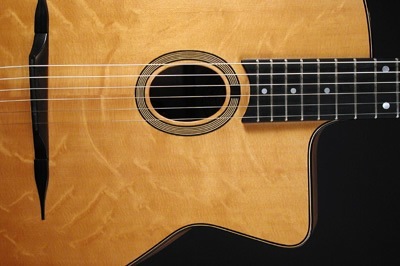 Les Boulevardiers is a quintet made up of Violin, two Guitars, Bass and Drums. 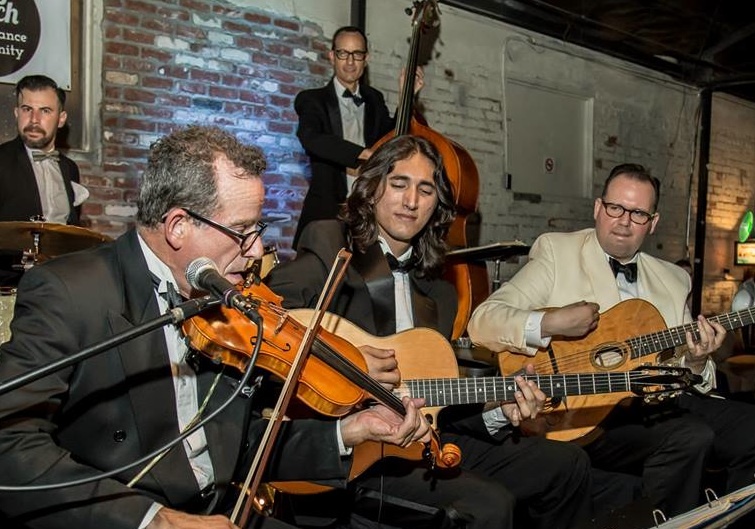 Unlike our other bands, Les Boulevardiers features the distinctively "European" bounce feel, known as "Le Pompe." Our name comes from one of Jonathan's favorite cocktails, the Boulevardier, first published in Harry McElhone's "Barflies and Cocktails" in 1927, which itself was named for a term meaning "man-about-town, or bon vivant." Stir over ice, strain, serve up with a fat Lemon Peel, and then put on some Django.